About Us | Power Mate Technology, Inc.
Power Mate Technology is a leading global supplier of standard, modified, and custom designed DC/DC converters ranging from 1Watts to 200Watts. We entered the high-density converter market when the trend to “distribute component power” and “centralized component power” first evolved over 15 years ago. Since then, Power Mate Technology 100~200 Watt DC/DC converters have set the standard for high-density with its revolutionary 37 ~ 55 W/cubic inch. 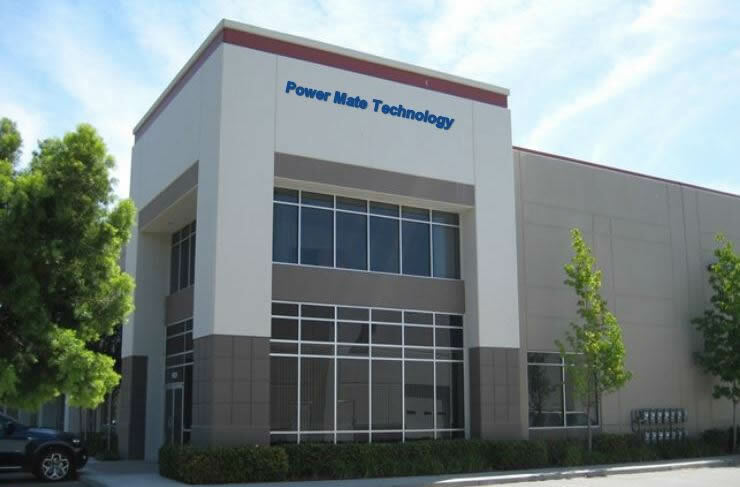 Power Mate was founded in 1997 as the premier North America sales and engineering facility. We have experienced fast growth by concentrating on our primary mission: to provide the industry’s best power supplies. Our excellent reputation in European and Asian marketplaces has been long known for our insistence on high quality and complete reliability. Now the US marketplace is reaping the benefits of those qualities. Power Mate warehouses the majority of product range for immediate shipment to our customers. Additionally, Power Mate is able to provide optimal services to our valued customers through obtaining agency certifications such as ISO 9001, UL, CE, CSA and TUV. One of the keys to our success is the application of state-of-the-art surface mount manufacturing technology (SMMT) in addition to automatic test and burn-in facilities in our factory. We produce the highest quality product at the lowest cost with the shortest lead time.